As the cadets will be practicing for the passing out parade, the face washer is to wipe their face with some cold water and give it a clean before their photo. The toothbrush is to get off any unwanted food after canteen and finally the comb is to fix their hair before their individual photo. This can all be done while they are waiting for their turn in line, I will provide mirror and clean bottled water, but it would help me out a great deal when it comes to editing their images. 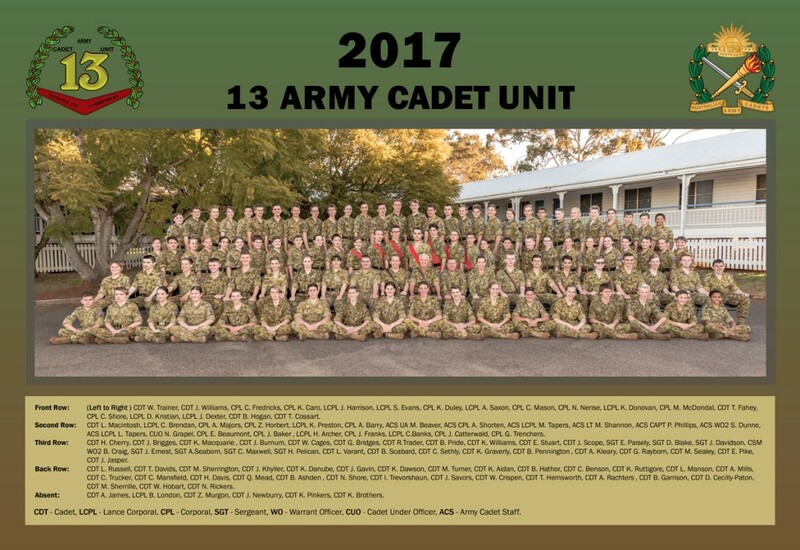 Here is an example of last years Group Image. 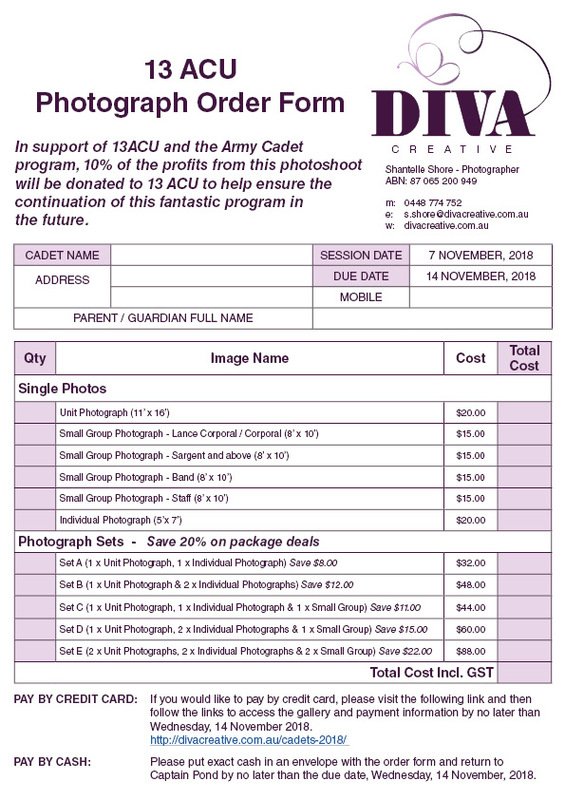 If you wish to pay by cash, please download the below price list, fill out and return with cash.